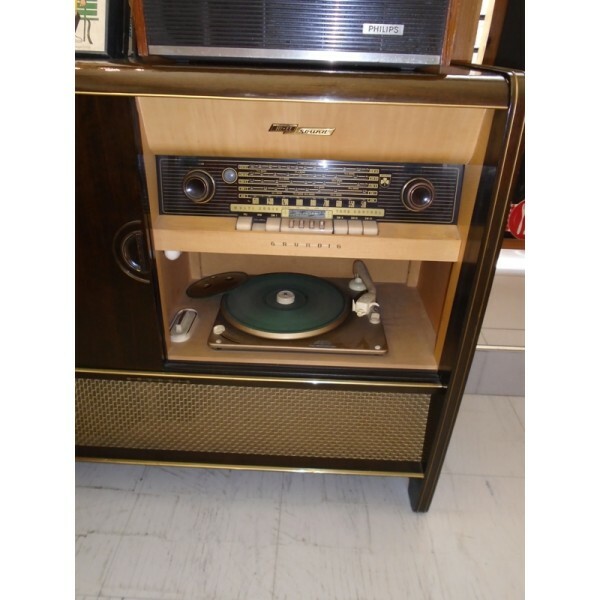 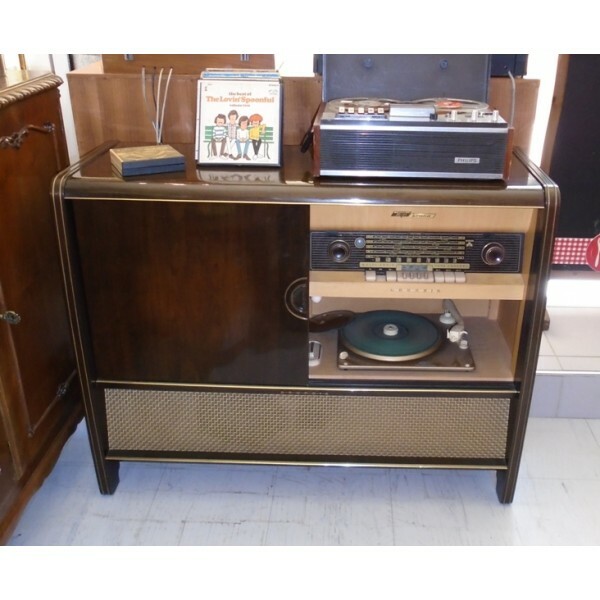 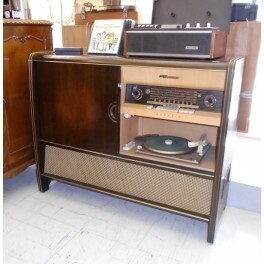 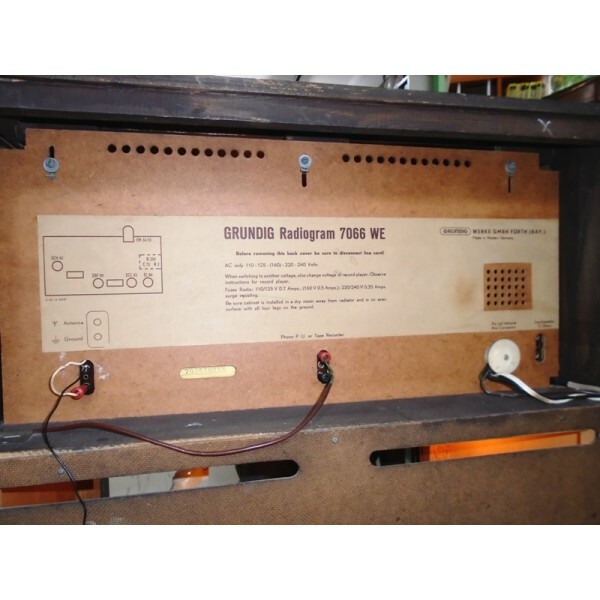 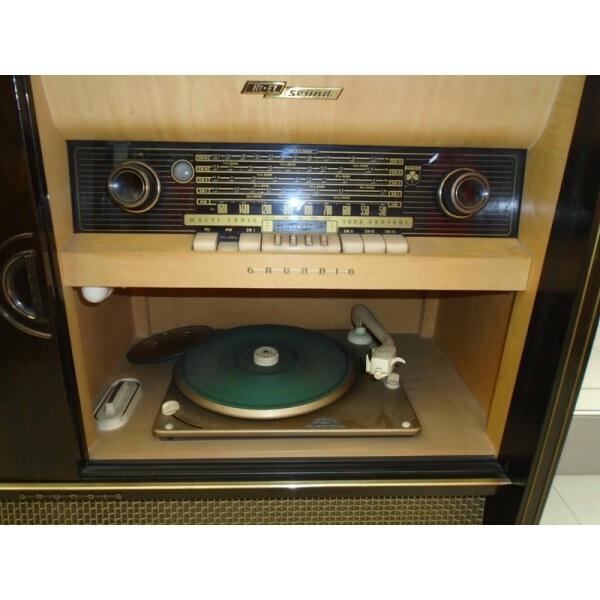 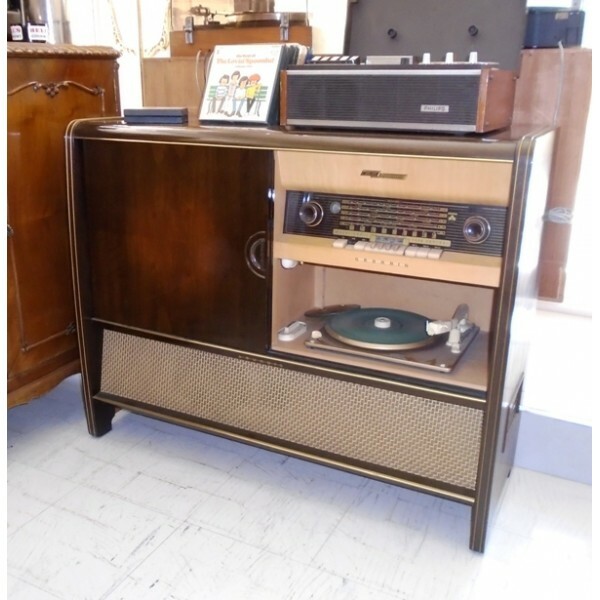 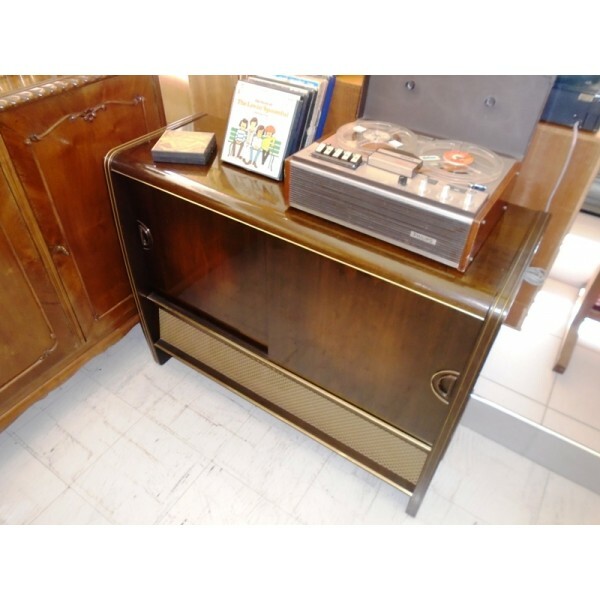 A rare Grundig music console with radio & turntable that dates back to 1956. 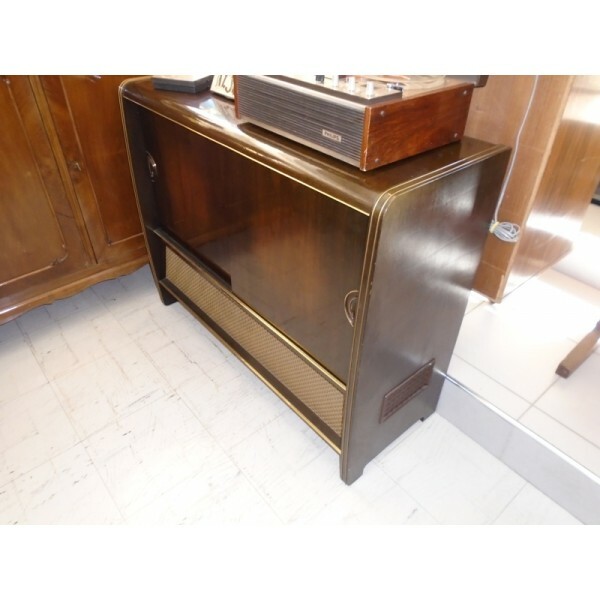 Beautiful Wooden case cupboard in excellent condition has the radio and turntable on the right side and free space to house your bar on the left. 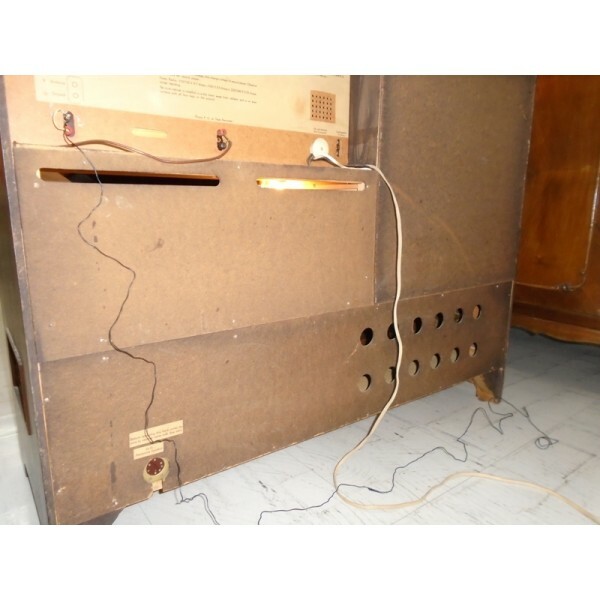 Wave bands: Broadcast, Long Wave, Short Wave plus FM or UHF.